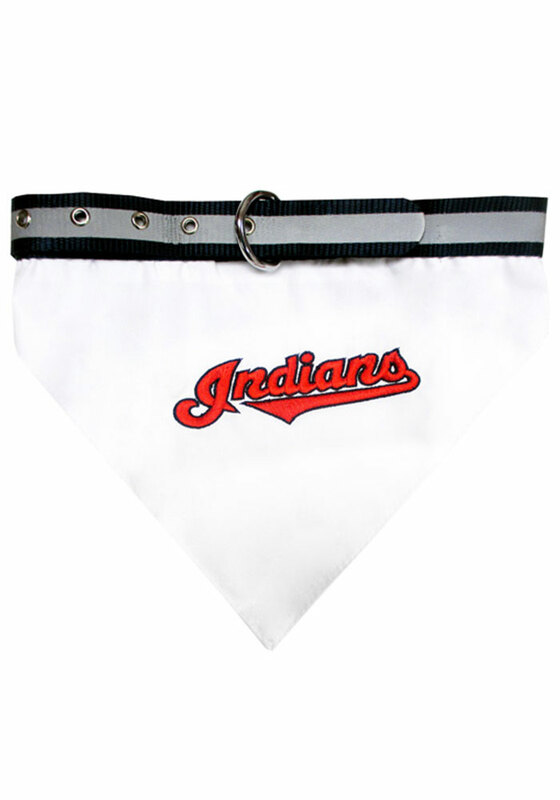 Even your pet can show their Indians spirit with this Cleveland Indians Collar Pet Bandana. This Pet Bandana features a collar with an embroidered Team logo. This is a great accessory for your pet. Love how the bandanna is part of the collar. Durable and washable. Looks great on our pup! My dog looks so cute in her new Cowboys Bandana. The listed sizing was very accurate and the sturdy collar helps keep the bandana on all day.